In this tutorial Fab discusses the critical notion of what level you should record various instruments. Why is it important to leave the "headroom" necessary to capture the transients, especially going when going into digital convertors. If you have asked yourself these kinds of questions, if you spend a lot of time discreetly resetting clip lights and wondering what your DAW is trying to tell you then this video is for you. If you have not asked yourself these questions, you probably should because proper recording levels are the first step in a good sounding track. 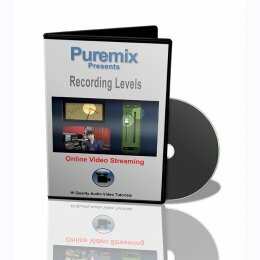 So watch the video already and find out just where to park your levels to give yourself the best chance at that best engineer grammy award.